Today I’m going to share with you some branding tips for your online course business that will make you more successful. Make yourself or your business known for something, make yourself memorable and be clear about what you are offering your customers. So, what exactly is branding? Well, to get down to the main idea, branding is just another way of saying: make yourself or your business known for something, make yourself memorable, be clear about what you are offering your customers and try to standout from the competition. So, how do you do this? Well, you have to be consistent in how you present your content and yourself. I mean, how do we start to know one brand over another, let’s say in a clothing store? We look at the logos on the clothes or at the design and colors and types of fabric that are used. If a business just randomly made clothes and didn’t think about branding then their logos would be different every time and their design wouldn’t follow a distinct signature pattern known only to them and their range of colors would not follow a pattern either. So, it is very important to brand your content! 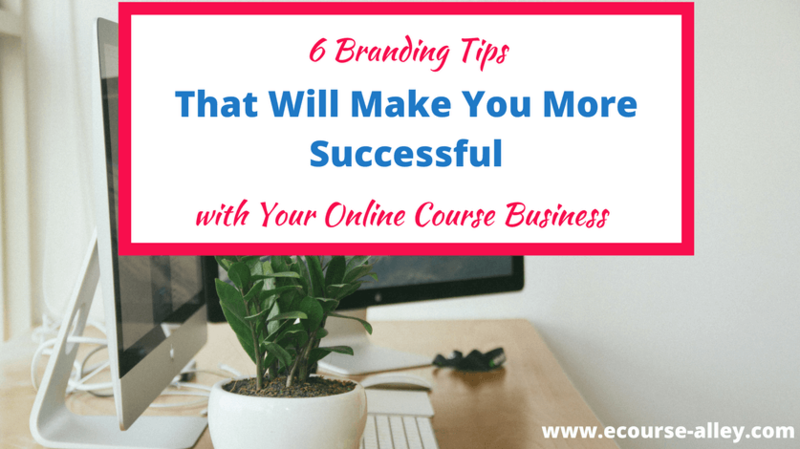 Read on to discover some tips for branding your online course business that I hope you find useful. You need to figure out what your audience can expect from you with the online courses you sell to them. How are you different from other course creators in your niche? Who is your target audience? For example, with e-course alley, our goal is to help aspiring entrepreneurs start their online course creation journey – this is our main goal. So, this is the message we project to our audience. If you have a website associated with your online course business, then determine the colors you will use on your site as soon as you start creating it. Design your logo at this point as well (or outsource it). Bonus Tip: Make sure to only use 3 or 4 colors maximum for your brand. You don't want to overwhelm your audience by having too many colors. Even if you don’t already have a website as a home base for your website, you should still have a color scheme for any landing pages you create through a third-party online course hosting site, such as Thinkific. For example, for e-course alley, we determined the three blue colors we would use in our logo from the early days of our business. We also made sure to put our logo and/or website link on any content that we promoted to our audience. We determined our website colors based on our logo colors and added in an accent color to help make lettering stand out when we needed to draw our audience’s attention to key information. Figuring out color schemes and other aspects of graphic design can be overwhelming, believe me, I know! But, give it some thought and figure out what exactly you want to emphasize in your logo or on your website and play around with some colors. Sometimes you just have to try things out to see how they look and make a decision from there. This is an important step, but make sure not to spend countless hours just on this one aspect of your business as there is much more to do! Again, if you have a website or even just a course site, determine what fonts you will use as your main text, titles of blog posts, headlines and text that appear on images, etc. Make sure the fonts you choose are easy to read. With all the choice out there it may be hard to make a decision on what fonts to use (similar to color schemes and logo design), so try out different fonts to see how they look with your logo and color scheme. Make sure the fonts you choose are easy to read, especially for the main copy that you write about your online courses and make sure titles and other fonts used in promotional material make an impact. At e-course alley, we use mainly Open Sans fonts as well as a couple more scripted fonts, especially in our images and Pinterest pins. We’ve already talked a bit about design, but I just want to make a few points regarding the design of images and promotions of your content on social media. Make sure the style of your graphics is consistent and use similar backgrounds or background images in all content that you share. At this point, you should have a color scheme, logo and fonts determined for your online business, so try to use the same colors and fonts on any graphics you share promoting your material. You may have to vary it somewhat at times depending on the images you use, but make sure to at least ensure that your audience will identify with your graphics through branding. Also, be sure to include your website link on all graphics and preferably in the same location (e.g. bottom right) each time for all your images. It would be good to keep the color of this link the same, but if you have to modify it depending on the background image, make sure to keep it to only a few colors that it can be, for consistency. For example, we tend to use our logo colors in our graphics for social media shares, not always all of them but at least a couple of the main ones and especially our accent red color. We also use our Open Sans Extra Bold font for the title words that we want to stand out and the Kaushun Script font for subtext. We place the e-course alley website text in the bottom of the graphic and usually have it either white or black, depending on the background image we choose to use. Our design has our headline text within a shape of some sort (we vary this a bit for variety) overlaid on the background image. Or, for Pinterest pins in particular, the text usually takes up the top or bottom of the pin and the rest is an image. Now, you will want to develop some standards for how you write and design your courses. Establishing Writing and Design Standards for your e-courses helps you create your courses faster and also allows your audience to know your style and what to expect from you. I would suggest using the same fonts and colors as your website and images (with maybe a few extra ones thrown in for emphasis etc.) but the bulk of your content should be in your dominant fonts and branding colors. To do this, you should go through the process of creating a Writing and Design Standards Document for your online courses. This way you have an organized approach and can update the document when required. It also makes you accountable to stick to the standards. I have developed standards documents for my own online course designs, and to help you out, I have created an example document that I have filled in with some suggestions that you can use as an idea. Also, I have made a blank template version of this document for you to complete with any of my suggestions (tailored to your own specific course design, of course) or with your own standards, it’s up to you. How to handle writing acronyms in your courses – will you spell out an acronym only once per lesson/module? Will you have a Glossary? What bulleted and numbered list style do you want to use throughout your courses? What capitalization standards will you use? Will specific key words in your courses always be capitalized? How will you use emphasis for key snippets of text? Will you always bold them or write them with a specific color? How will you start and end each course? Will you start with the learning objectives? How will you shoot your video lectures (if you include video in your courses)? Will you include interactivity in your courses? Will you have assessment questions? You will find more specifics in the Writing and Design Standards Document I’ve created, so if you’re interested, grab your free copy now. 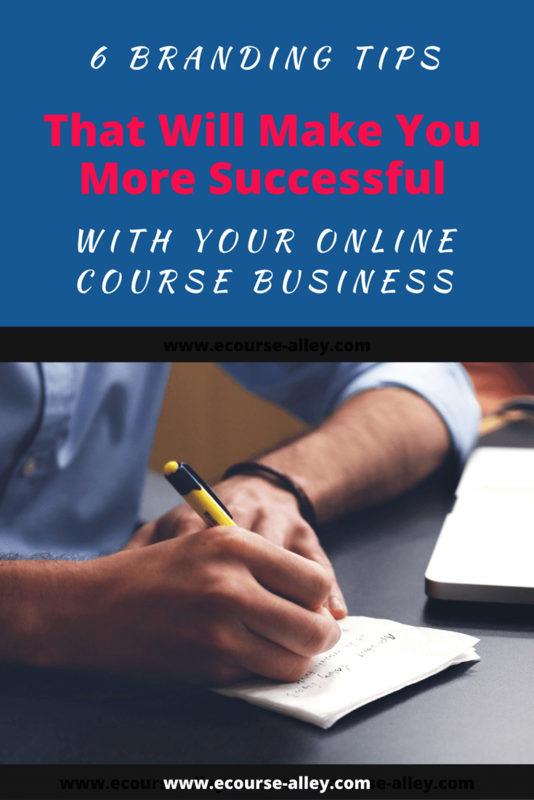 Depending on what method(s) you choose, you should have a specific way you market your online courses. What I mean is, figure out what works best and then when you do, keep doing it in the same fashion so people will get to know your brand from the way you market your stuff. For example, if you use a specific sales copy where you use a specific tag line related to your niche, then utilize this or a similar tag line every time you promote your information. Determine the Message to Your Audience – What can your audience expect from you? How are you different from your competitors? Determine Your Color Scheme and Logo – This one pretty much speaks for itself, but design your logo and color scheme from the early stages of your business because you will need this to promote your material so you want to make sure this part is in place right away. Determine Your Fonts – Again, this one is pretty straightforward and goes with tip #2, you need to decide on your fonts upfront because you will have to start using them to write your material. Use Consistent Design for Images Shared on Social Media – Every image your audience sees shared on social media should have a way of being a “stamp” for your business. Meaning, if they were to just glance at say a Pinterest pin, they would know it was from your business because of the way you designed the image and used your branding colors and fonts. 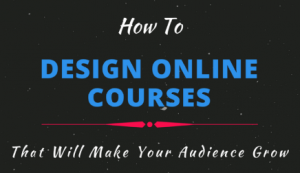 Brand Your Online Course Design – This one is very important! You have to create your courses with branding in mind so that they all have a similar “look and feel.” Develop some Writing and Design Standards, or build on or use my suggestions in the template I have created which you can download from our FREE Resource Library. 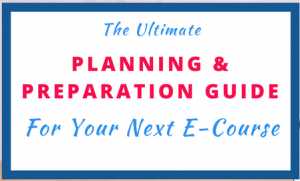 Brand Your E-Course Marketing Strategies – This tip goes beyond just logos, colors and fonts. You need to develop a style for your marketing campaigns and then stick with this style so your audience gets to know your business and your brand. Hope you have enjoyed this post! Leave a comment and answer me this one question: What have you found challenging about branding your online business?